At James Brown Properties we undertake full electrical installations, re-wires and partial re-wires for residential and commercial clients throughout Suffolk. We can assess existing installations and advise on whether any measures need to be taken and if they do, to what extent. Any electrical installation undertaken by us is tested and certificated on completion of the works. 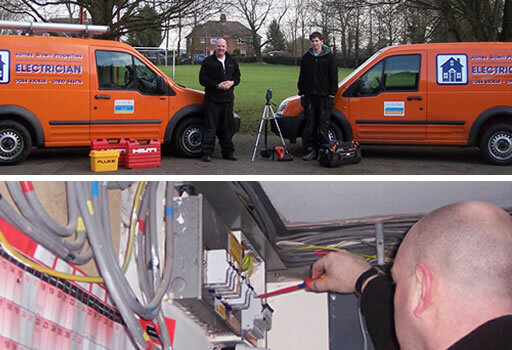 Our professional and efficient team of electricians aim to minimize any disruption to your home or business whilst re-wiring is being carried out. Our top priority is the safety and satisfaction of our customers. We use dust reducing methods and operate a ‘shoes off’ policy whilst in your property. For a free, no obligation quotation please call us on 01284 763413 / 07810 546776 or send us a message via our contact form.